The government of Andhra Pradesh seems to be taking too much interest in shifting up its employs from state of Telangana to Andhra. 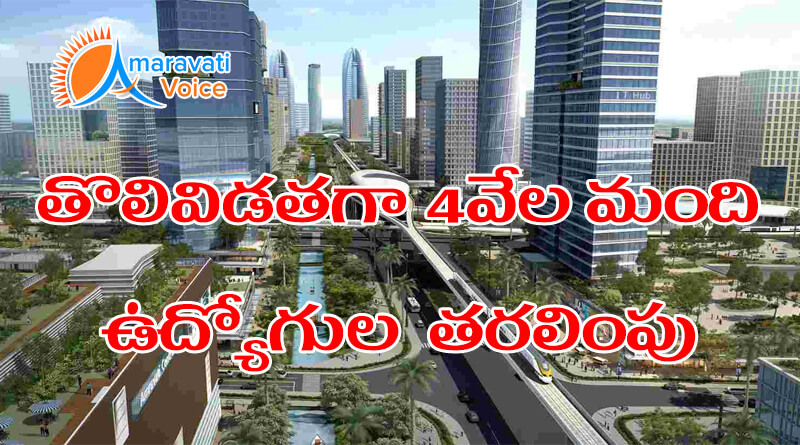 Government employees of Andhra Pradesh will be relocated to the state's new Capital region Amaravati in phases beginning with 4,000 in its first term by June 15 says the government officials. Another 3,000 employees will be shifted in July and August in two terms. The decision was taken by Government after discussing with employs union. Even after separation of states most of the govt departments are working from city of Hyderabad, the joint capital of AP and Telangana states. The AP government being fedup with the issues between employees of both states now planned to shift up its employees as soon as possible. It s known that Chief Minister alone has been functioning from his temporary office in Vijayawada city which is now serving as the functional capital. It is known that the government is building an Interim Government Complex on a 45-acre site at Velagapudi village in the new Capital region. L&T is executing the works to build six lakh sqft of office space for employs in six blocks. The Municipal Minister, who is taking charge of construction is now planning two additional floors would also be constructed for the temporary Secretariat building, apart from the planned G+1 structure. The state government set June 15 as the deadline for completion of constructions which is a heavy major task.